"Post Traumatic" is the first album Mike Shinoda has released under his own name and it's pretty obvious that this wasn't the way he wanted to do it. It is a raw and painful tour through sorrow, created in the wake of the death of his Linkin Park partner Chester Bennington. Linkin Park's Mike Shinoda will perform at Reading and Leeds Festivals for the first time solo. The 40-year-old rapper is set to debut new music and perform the tracks from his recent EP 'Post Traumatic', his first recorded music since the passing of his Linkin Park bandmate Chester Bennington, who tragically took his own life in July aged 41. Mike Shinoda admits he's been "all over the place" since Chester Bennington committed suicide in 2017. The 41-year-old musician starred alongside Chester in Linkin Park, and he's experienced a "rollercoaster" of emotions since he took his own life. Mike explained: "[Chester's passing] affected everything, sometimes in very overt ways, and sometimes in more ... subtle ways. The Pub Station is hosting its second sold-out show in two weeks, with a St. Patrick’s Day appearance by the Stone Temple Pilots. The downtown live music venue is picking up steam for its spring schedule. After 17 sold-out shows in 2017, Billings promoter and Pub Station owner Sean Lynch said they now have the first two sold-out events of 2018. Stone Temple Pilots is set to play the Pub Ballroom on Saturday. The hip-hop duo Atmosphere sold out the Ballroom March 2. Everything from the 1990s seems to be making a comeback these days, from "The X-Files" and "Will & Grace" to the Spice Girls and velour tracksuits. So is it time for Stone Temple Pilots? Totally, as the kids said back then. The four-piece band once closely associated with the grunge explosion of the early 1990s with such hits as "Creep" and "Plush" has returned with a new self-titled album and a new lead singer, Jeff Gutt. Chester Bennington's widow has urged fans of the late singer to stop setting up memorials outside their former family home. It's unescapably heartbreaking to listen to Linkin Park's new album. The reason is right there in the title: Live. Five months after singer Chester Bennington hanged himself, the band has released "One More Light Live," an album to cherish even if some fans disliked the pop direction the group had recently taken. 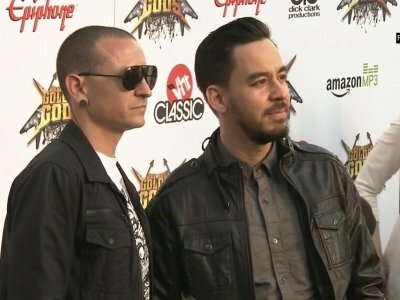 NEW YORK (AP) — Linkin Park is releasing a new live album that the band is dedicating to late member Chester Bennington. The group says their last live shows before Bennington died in July were "extraordinary." The "One More Light Live" album will be released on Dec. 15. Linkin Park fans will be able to watch the Chester Bennington tribute concert on a live-stream online. The remaining members of the rock band are set to perform together at the Hollywood Bowl in Los Angeles on Friday (27.10.17) for the first time since the frontman tragically took his own life in July aged 41. Supporters will be able to watch the live show - featuring an all-star line-up including Blink-182 and members of Korn, and System of a Down - on Linkin Park's official YouTube page. Chester Bennington made arrangements for his children to stay in contact in his will. The Linkin Park frontman - who took his own life in July - was father to six kids from three relationships and he instructed the trustee of his family trust to ensure there was money set aside for travel expenses for the youngsters to see one another. Jay-Z hopes Chester Bennington’s death is a “wake up call” to those who think fame and money can provide happiness. The 47-year-old rapper highlighted the importance of speaking out about mental health after his close friend and collaborator died by suicide in July. LOS ANGELES (AP) — Linkin Park will play a one-night-only concert in tribute to late lead singer Chester Bennington. Warner Bros. Records says the show will take place at the Hollywood Bowl in Los Angeles on Oct. 27. It's the first time that Linkin Park will perform since Bennington's July 20 death. Chester Bennington's widow has shared a poignant video of her late husband from just hours before he passed away. The Linkin Park frontman tragically took his own life back in July and now Talinda has taken to social media to share a clip taken only a day before Chester's tragic passing. She wrote on the site: "My next tweet is the most personal tweet I have ever done. I'm showing this so that you know that depression doesn't have a face or a mood. Chester Bennington's son still feels like his father is "on vacation". The Linkin Park frontman took his own life two months ago, and 15-year-old Draven has admitted the tragic news still hasn't fully sunk in and there's a part of him still expecting his dad to "pop back up". The 'In The End' hitmakers have thanked their fans for their support after the tragic passing of the band's frontman and have taken to Twitter to announce they will be honouring their late friend with a "special public event". Jay-Z is to fly in on an "£80 million" helicopter for his V Festival performance on Sunday (08.20.17). The 47-year-old rapper will top the bill on the Supervene stage at Hylands Park, Chelmsford, and will be arriving to the venue in style from the festival's sister site at Weston Park, Staffordshire, in the luxury chopper. 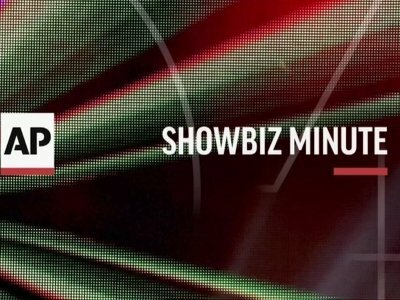 Speaking exclusively to BANG showbiz, a source said: "Jay-Z is meant to fly in on an £80 million helicopter". Chester Bennington's daughter asked her mother the most heartbreaking question about her late dad. The Linkin Park frontman's wife Talinda Bennington revealed Lily asked her mother if he "was on tour in [their] hearts". She tweeted: "Lily asked me this morning..."IS DADDY ON TOUR IN OUR HEARTS?".... Yes, my sweet baby he is. (sic)"
Meanwhile, Talinda previously admitted her life has been turned into a "sick Shakespearean tragedy" following Chester's death. LOS ANGELES (AP) — The widow of Linkin Park singer Chester Bennington has thanked James Corden for allowing the family to decide whether an episode of the "Carpool Karaoke" spin-off series featuring the singer should be aired. Bennington, who died at 41 last month, was scheduled to appear in an upcoming episode of "Carpool Karaoke: The Series," a show based on Corden's regular segments on "The Late Late Show with James Corden" in which he drives music celebrities around and sings with them. LOS ANGELES (AP) — Hundreds of Linkin Park fans have gathered in downtown Los Angeles to pay tribute to late singer Chester Bennington after his death last month. Someone has been trying to sell items from Chester Bennington's memorial service on eBay. Chester Bennington's occupation is listed as a "rock star musician" on his death certificate. As well as stating the impressive job title to describe the late singer's occupation, the papers confirmed details of the Linkin Park frontman's passing, including the fact that he tragically committed suicide using a belt to hang himself. Other details on the certificate showed the singer died at 9:08 AM in his home at his Palos Verdes Estate in California on July 20. NEW YORK (AP) — Chester Bennington's record label said the Linkin Park singer's private funeral was held over the weekend in Los Angeles. Warner Bros. Records said the private service at South Coast Botanical Garden in Palos Verdes Estates took place Saturday. More than 500 family members and friends, including Linkin Park members and other musicians, attended. 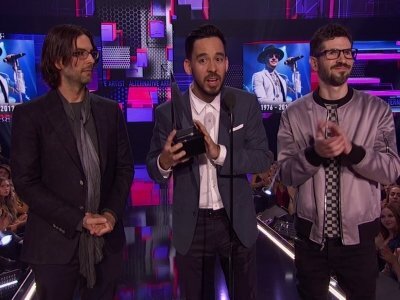 Mike Shinoda and Joe Hahn of Linkin Park, as well as Ryan Shuck — who comprised Dead By Sunrise with Bennington — gave eulogies. Warner Bros. Records said the private service at South Coast Botanical Garden in Palos Verdes Estates took place Saturday. More than 500 family members and friends, including Linkin Park members and other musicians, attended. Mike Shinoda of the rock band gave a eulogy. Chester Bennington has been laid to rest in a private funeral. 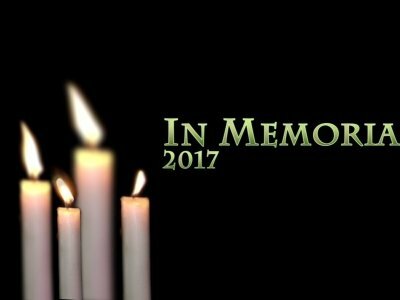 The Linkin Park frontman's funeral took place at South Coast Botanic Gardens - near his home in Palos Verdes, Los Angeles, where he died by suicide earlier this month - on Saturday (29.07.17) with just a few hundred people in attendance, TMZ reports. Chester's family wanted a private memorial for the 41-year-old star and the service was attended by family members, friends, bandmates and musicians he had worked with over the years. Linkin Park's Dave Phoenix has paid tribute to his "loyal friend" Chester Bennington a week after his death. The Linkin Park frontman committed suicide last week and his bandmate - who is the group's bassist - has taken to Twitter to thank their fans for the "outpouring of love and kindness". Chester Bennington's wife says her life has been turned into a "sick Shakespearean tragedy" following his death. Talinda Bennington has spoken out for the first time since the Linkin Park frontman - who had six children - committed suicide earlier this month aged 41, and she admitted her "fairytale life" has been left in tatters after losing her "soulmate". Chester Bennington's body was discovered by his distraught housekeeper. The Linkin Park frontman took his own life last week aged 41, and police have released audio of the 911 call in which the singer's driver can be heard reporting the tragic incident while his maid is wailing in the background. NEW YORK (AP) — Linkin Park said their hearts are broken following the death of lead singer Chester Bennington, who died by hanging last week. The rock band said Monday that the "shock waves of grief and denial are still sweeping through our family as we come to grips with what has happened." Police in Palos Verdes Estates released audio Monday to The Associated Press of a hired driver's 911 call in the death of Chester Bennington. Linkin Park returns to charts following singer’s death. Linkin Park has returned to the charts after lead singer Chester Bennington's death last week. Billboard says the band's latest effort, "One More Light," re-entered Billboard's Top 200 album charts at No. 17 on the most recent chart. The band's popular debut, "Hybrid Theory," checked in at No. 27.